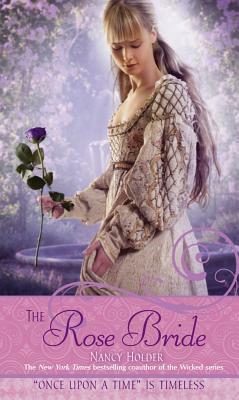 When Rose's mother dies, her only comfort is the exquisite rose garden her mother left behind. The purple blossoms serve as an assurance of her mother's love. But Rose is dealt a second blow when her father dies and his greedy widow, Ombrine, and her daughter, Desiree, move in and take over the manor in true Cinderella fashion. Fate has been cruel to Ombrine and Desiree, too. So despite their harsh ways, Rose has compassion. But these feelings are bitterly tested when, in a rage, Ombrine tears out the garden. Rose nearly gives up all hope -- until a chance meeting with the king. Happiness might be within her reach, but first she must prevail over Ombrine. And then she must determine if she has the courage to love.